Simblissity: Tomorrow! Tomorrow! I'll love ya tomorrow! Tomorrow! Tomorrow! I'll love ya tomorrow! Want a real procrastination distraction? 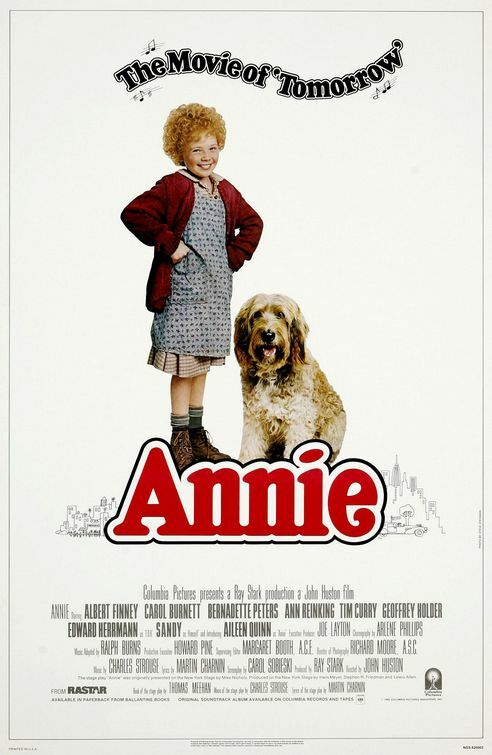 Google the word "Annie". I did a quick search for an image to match the song stuck in my head. This started with a search for Annie the Musical and led to Annie Oakley, Annie Hall, and Annie the Movie. This led to IMDB to find out who that adorable actress was in the movie and what ever happened to her?!? 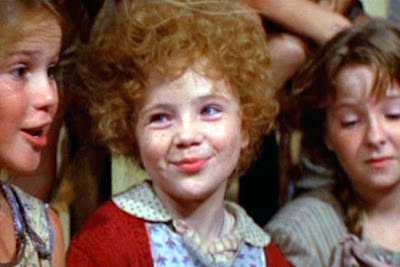 Her name is Aileen Quinn and she really hasn't been in much else, movie wise, though she has been in several Broadway shows. She is in the #1 spot on People With Money's list for highest paid actors, with a net worth of $245 million! She's also the lead singer of an L.A. based Rockabilly band called....wait for it....."The Leapin' Lizards." If you didn't spend your childhood watching Annie, that might not mean much to you, but trust me, it's awesome. But that has nothing to do with the topic at hand. However, the concept of distraction has quite a bit to do with it. Often, we don't intend to get side-tracked, but our attention is grabbed. That article, game, song, etc. is small and inconsequential. It won't take very long. I'll get right back to my task as soon as I finish this. Of course, one distraction can easily lead to another. Even if it does not, we could be just 5 minutes away from a brand new distraction. Before we know what's happened, the one hour project has grown into a four hour project and we have to scurry for the last half hour to finish it. One definition listed under the word distraction is "that which distracts, divides the attention, or prevents concentration." Now, that just hurts for me to read. It immediately calls to mind Jesus' reminders that a house divided against itself cannot stand. When my attention is divided, I cannot give the focus needed to truly do my best. But we live in an age of distraction; It is impossible to not notice them. What can you do? Lists are a helpful tool to keep me on target. I stock up on index cards and post-its when back to school sales start. Now, I have to be careful not to spend an hour making elaborate lists with pretty fonts and different color coding, stickers in the corners or charts on the computer. Yes, lists can be distractions in themselves. You're talking to a professional, remember? Keep the lists reasonable and brief. List only the imperatives. These help because you can glance and see a limited number of items that must be finished today. There is also an extreme satisfaction in drawing that line through each item you've finished. I'm one of those gals who will add a finished item to my list so that I can strike it out. You are too, right? I need reminded to stay alert. The enemy would love to see me fall into apathy, enjoying my comforts and distractions and never fulfilling God's call on my life. And, as you know, it's a hard-knock life. 2. Motivated Moms. I'm a true rebel at heart and I'm amazed that I was able to accept someone else's housekeeping list since I tend to try rewriting everything I find, but I haven't changed a thing with this list. It's one that my kids can look at and mark off with me. It breaks everything down nice and easy. It's cheap at $8 and I've been using them for several years now. I do receive a 12% commission on purchases. 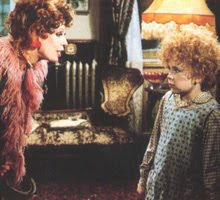 And, completely off topic, Carol Burnett is brilliant. It would be wrong of me to offer you a distraction now, wouldn't it? Be sure to check out more amazing topics being discussed by members of the 5 day blog hop!